Peter Thornton is the Director and Principal of Transportation Associates Pty Ltd, through which he provides consulting and advisory services to government and the private sector in the infrastructure and transport sectors. Peter was a member of the EY/L&B team that produced the Airport Plan and Business Case for Western Sydney Airport and, prior to that, lead the Airport Site Assessment team during the Sydney Region Aviation Capacity Study for the Commonwealth that proved that Badgerys Creek was the best site available for another airport in the Sydney Basin. More recently, he has acted as an Independent Reviewer of studies for a second Perth Airport site, and undertaken studies on the freight logistics industry and freight movements at Sydney and Newcastle Airports. Peter has led many consultancies in relation to rail links to Sydney and Western Sydney Airport and published his research on airport rail inks worldwide on his website www.transportationassociates.com.au. He is recognised as leader in the matter of high speed rail in Australia. 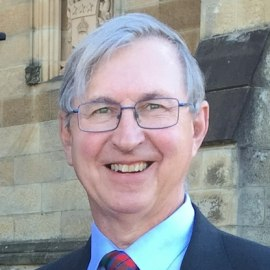 Peter is a member of the Advisory Board for both the School of Civil Engineering and the Institute of Transport and Logistics Studies at Sydney University. Peter holds Masters degrees in both Business Administration and Environmental Planning and 1st Class honours degree in Civil Engineering.